A day late almost but I met my goal!!! I finished and submitted the sequel to On the Silver Edge of Time!!! Whoop! I'm only an hour and fifteen minutes past my goal time but I can live with that. DH was away tonight so it gave me the day to wrap up the project, polish and get that sucker off to my editor. I tried something different. Three wonderful ladies agreed to be beta readers for this one. I've already heard back from one and applied her comments. I figure the other two will send me comments shortly, but I can make those changes after the manuscript has been contracted so yeah - I'm jumping for joy right now to have another one finished and on it's way to my editor. I love that you can do a search on most any subject and get an answer to a puzzling question. Such was my quest this morning as I attempted to insert an image into the body of my yahoo e-mail. The instructions I came across were very good and should have been simple to follow except they left off vital information. So here's what I did to make it work. First I had to find an image I'd uploaded to a website and then I could either drag and drop or copy and past. No worries. Right? Wrong. This only works if the image isn't linked. Most all of my images are linked to other sites so when I dragged and dropped, the link showed up and not the cover. Ack. So once I spent time trying to figure out my problem, I finally found an image I'd uploaded of my cover that I hadn't linked. Drag and drop wouldn't work for me but copy and paste worked like a charm and voila - I had an image and it even sent. But it was huge so for future e-mailings, I'm posting my image here again just for the purpose of inserting it into e-mail. Gotta love technology - especially when it works. "...Dark excitement and intrigue abounds as only Ciara Gold's KEEPER OF MOON HAVEN can incite. Characters are neatly fleshed out. Noreen's precarious station in life can be appreciated by anyone whose destiny has ever taken an unexpected downturn. The mythical creatures are not only varied, but because we either see them through Noreen's perceptive eyes or the wizard's almost too-logical viewpoint, they are what they are – intriguing, timeless, magical Beings. What they most certainly are not are poor, defenseless, giggling, frilly creatures of the childhood fairy tale persuasion. Also, since time travels differently in the Faery realm, it's interesting to see how each Being bears the weight of the past, the ramifications of decisions made in their name, and how their unyielding expectations of the Keeper are matched only by their steadfast confidence in him. The pressure and stress of his position are definitely not for the weak of heart. Amazing facets to Noreen and the wizard's love story are their irresistible chemistry, the way he so astutely reads her and her inner turmoil, the way she unknowingly foments mayhem within his near impenetrable emotional walls – the moment they surrender their inhibitions and give in to their first kiss – absolutely stunning. Their interactions were something I looked forward to – antagonistic but sometimes silly, sweet yet sometimes cold, and for all their enmity (lest we forget just how stunningly beautiful they both are), no two could be more perfectly suited. 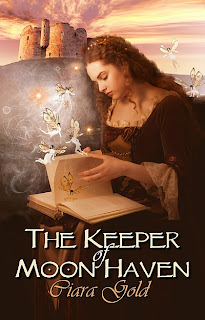 A refreshing paranormal romance that reads like a perfectly blended historical, suspense, and fantasy fairy tale, KEEPER OF MOON HAVEN will easily appeal to lovers of all genres. 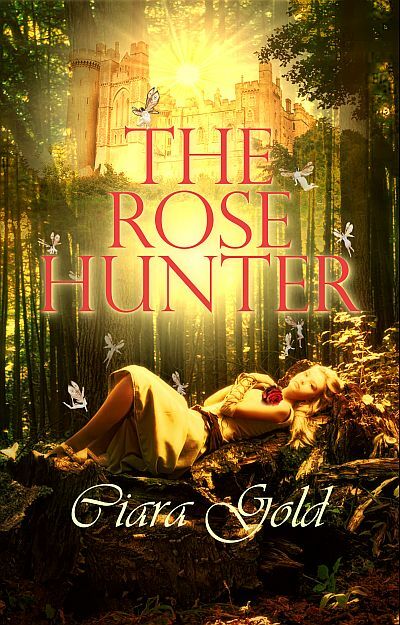 Although this is my first introduction to Ms. Gold's work, I have already added her other novels to my Christmas list!" Here's hoping Santa is good to Chris and brings her all my books. LOL. Read the rest of the review here. So last year I was really bad and Santa should have given me a sack full of sticks, but I didnt send out any cards. I just flat procrastinated so long that it became pointless. I refuse to do that this year, so I'm working on addressing cards. Of course the bad thing about not doing them last year is that not all my addresses are current. Ugh. But - it forced me to do some calling and connecting. I've had a most enjoyable day today talking to old friends. I need to do that more often. So I did all the images myself except the bookcover. And I found the music at the neatest site. Jon Sayles is a very talented guitarist who wants to preserve the sounds of the Renaissance by recording short tunes. I hope my inclusion of his music will help him spread the word a little more. I've listened to all that he has on his site and they're all quite good. My Fantasy is now available!!!! The Keeper of Moon Haven is now available at All Romance E-books. I'm sooooo excited. Whoop! Come check out my website for the first chapter.